What happens when food meets football? You get Food ★ Ball!! 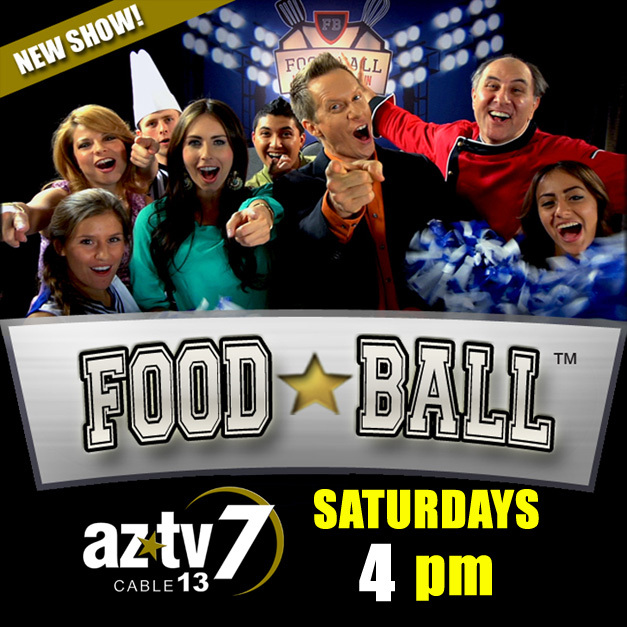 Food ★ Ball, the ultimate cooking competition and reality TV show, pits two teams of teenage chefs against each other in a race against the clock. What could go wrong? Everything! Saturdays at 4PM on AZ TV 7 and Cable 13 in Arizona! Want to be a contestant? Tell us about yourself!